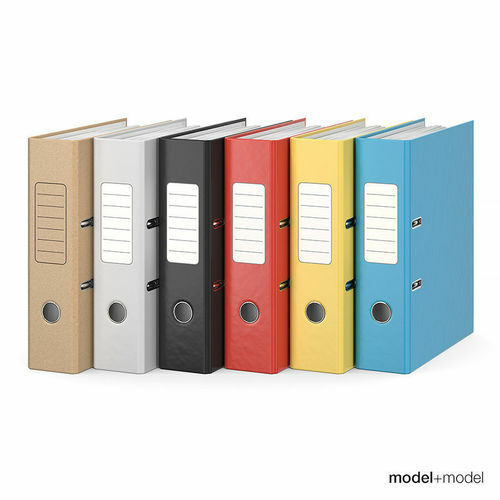 High-quality 3d model of office ring binders. There are 3 binders in the set and 6 materials for them. The label is made as a geometry - it is very easy to change its color or apply a texture. The models are made with much attention to details. They are ready to use: have accurate wireframe, real world scale and a reasonable amount of polygons.